It’s summer already! And it means we all want to eat yummy and refreshing food during the hot season. Popsicle are just perfect for all our summer needs, since we can find them easily in supermarkets and convenience stores. From the simple vanilla & chocolate popsicle to the fruit-flavored ones… It’s so hard to choose just one! Recently there are many speciality stores selling them on the beach and sometimes they’re made of fresh fruits - frozen and ready to eat! This is the right season to walk around and discover new flavors and maybe you’ll find your next all-time favorite! 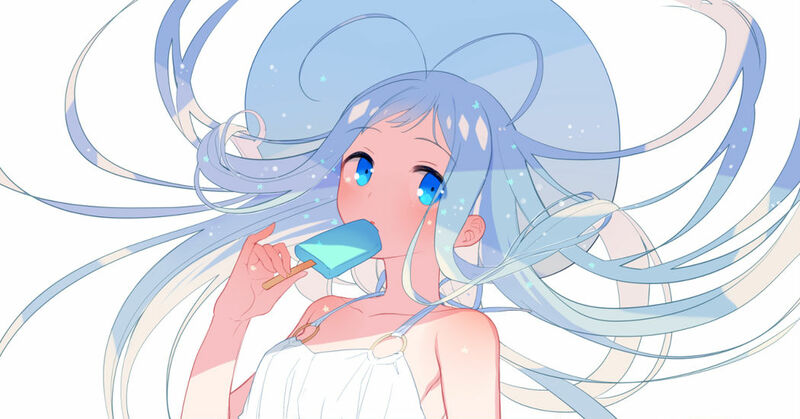 Today we collected beautiful artworks where you can see characters enjoying popsicle. Take a look!